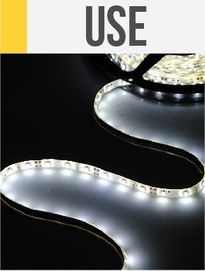 When the absolute brightest light possible isn't what you are looking for, then these competitively priced flexible LED strips are what you are looking for. 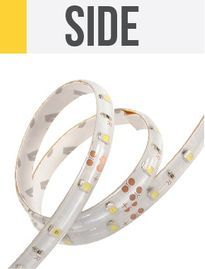 These strips still use the same super efficient 5050 SMD LED package as our ultra bright LED strips, but each LED has around 20-40% less light output that our ultra bright versions. 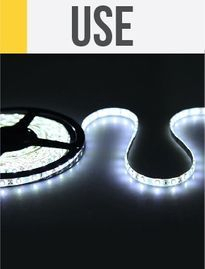 Everything else is the same; there are 60 LEDs per metre, the flexible strip can be cut into sections every third LED to create separate strips to your desired length, the strip is backed with 3M brand adhesive tape, and each section had solder pads to enable you to wire up to your desired configuration. 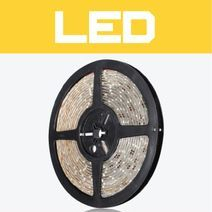 Sold as a full 5 metre reel in cool white and warm white colours, they are an excellent solution to thousands of lighting applications such as display cabinets, under bench lighting, accent lighting, caravan/camping, 4WD, mood lighting, etc.